Bhubaneswar: The Biju Pattnaik International Airport in Bhubaneswar, Odisha is all set to become bigger with a new Terminal. The 3rd Terminal will be erected by 2023, a senior Civil Aviation Ministry official said. 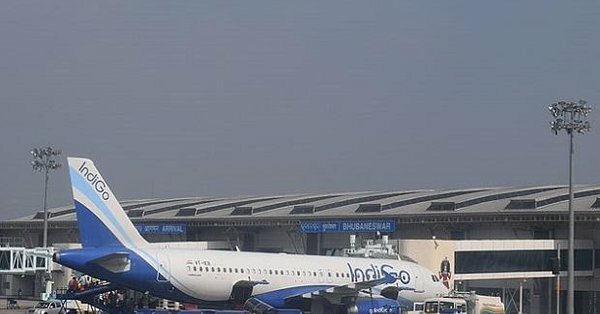 To cater 8.8 Million passengers per annum, the Terminal III will be erected by 2023, said Rajiv Nayan Choubey, Secretary Ministry of Civil Aviation (MoCA). He said that MoCA is interested for development of BPIA including Terminal III, which will be a massive one. Mr.Choubey asked the officials of Airport Authority India (AAI) Officers to adhere the dateline as Air Traffic in this airport is growing in a big way. At present, which is 3 MPPA is expected to grow 3.5 MPPA by 2019. Union Secretary Mr.Choubey, who was on a two days long visit to the State met top brass of the State Administration here and discussed about the expansion of BPIA with the Team Odisha led by Chief Secretary Aditya Prasad Padhi. Asit Tripathy, Development Commissioner, Ashok Meena, Principal Secretary Finance and General Administration, Vishal Dev, Secretary Tourism and Sports, Joint Secretary MoCA, Usha Padhee and other senior officers were present. Mr.Choubey said now design for the Terminal III is being finalized and after that tender will be floated for the same. Now move is on to connect Terminal I with Terminal II and passage is planned accordingly. He said that for construction of a parallel Taxi Track land is required covering 1.4 Acres and the slum is needed to be cleared near OUAT. On the issue of land of 64 Acres required for extension of Runway, he said technically how much land will be required will be studied in details. A Multi-Disciplinary Team will visit during this month to have exact requirement so that the State Government will try for the same, said sources.